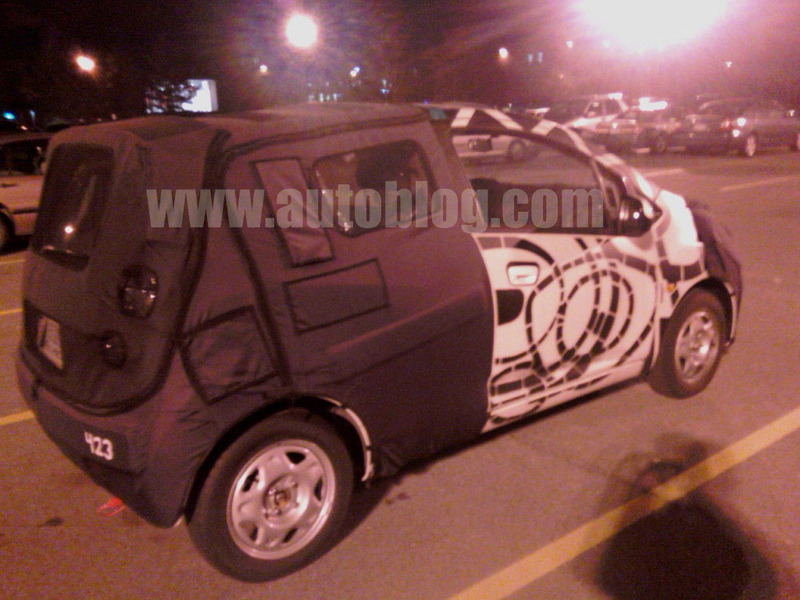 A very swift spy photographer has had a shot of heavily camouflaged Chevrolet Beat prototype lounging around at New York's Rochester Institute of Technology. 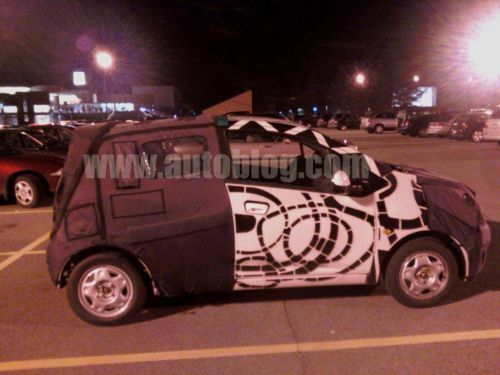 The camouflaged runabout was spotted in a parking lot on the university's grounds. As you may recall, the Chevy Beat was the most popular of a trio of concepts (Beat,Groove & Trax) that Chevy showed to the world at last years New York Auto Show. Based on General Motors' new global mini-car platform, the Beat was originally designed to be the sportiest of the triplets with only two doors and a 1.2L 16-valve DOHC inline-four cylinder,turbocharged petrol engine mated to either a manual or automatic gearbox. Speculation has it, that the Chevrolet Beat will be launched in the Korean markets first, as a four door version and without a turbocharger. The production is set to take place there in mid-2009, but with GM struggling to make its ends meet even after receiving the bail-out package, delays should be inevitable. 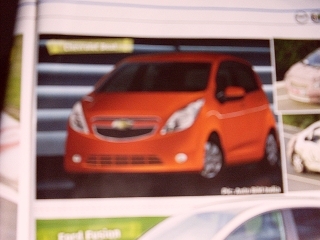 The latest edition of AutoBild magazine has a rendering of the Chevrolet Beat, along with 24 other cars. Grab a copy- it's an exciting read full of eye candy. IAB Comment: We see the Chevrolet Beat as an upmarket version of the Chevy Spark. Unlike the cute looking Spark, the aggressive Beat would be a good competitor to the Maruti Ritz a.k.a Splash. The earliest Indian launch we can think of is by late 2009, but a 2010 release is most likely.